Explanation: Here is what the Earth looks like during a solar eclipse. 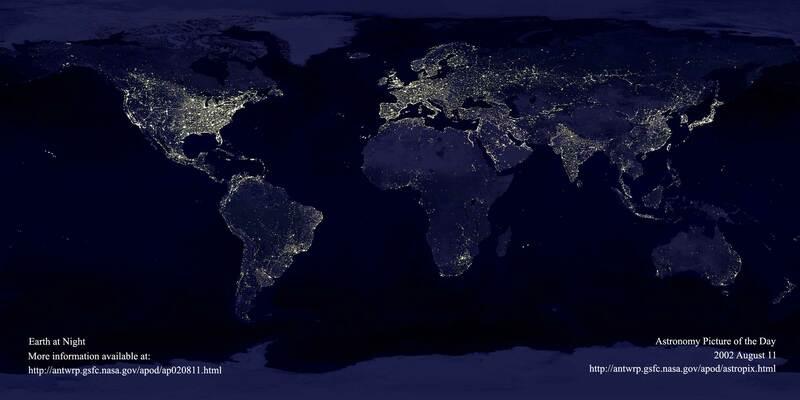 The shadow of the Moon can be seen darkening part of Earth. This shadow moved across the Earth at nearly 2000 kilometers per hour. Only observers near the center of the dark circle see a total solar eclipse - others see a partial eclipse where only part of the Sun appears blocked by the Moon. 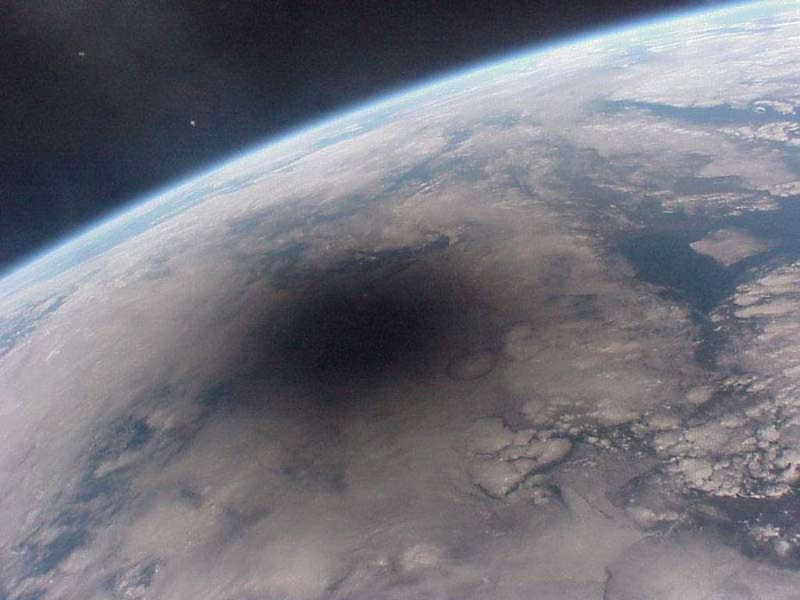 This spectacular picture of the 1999 August 11 solar eclipse was one of the last ever taken from the Mir space station. The two bright spots that appear on the upper left are thought to be Jupiter and Saturn. Mir was deorbited in a controlled re-entry in 2001.